When I received an invite to the International Cheese Awards I wanted to come away with some new cheese knowledge, and maybe discover a new gem. Oh yeah, and I definitely wanted a belly full of cheese! We went on judging day which was brilliant. 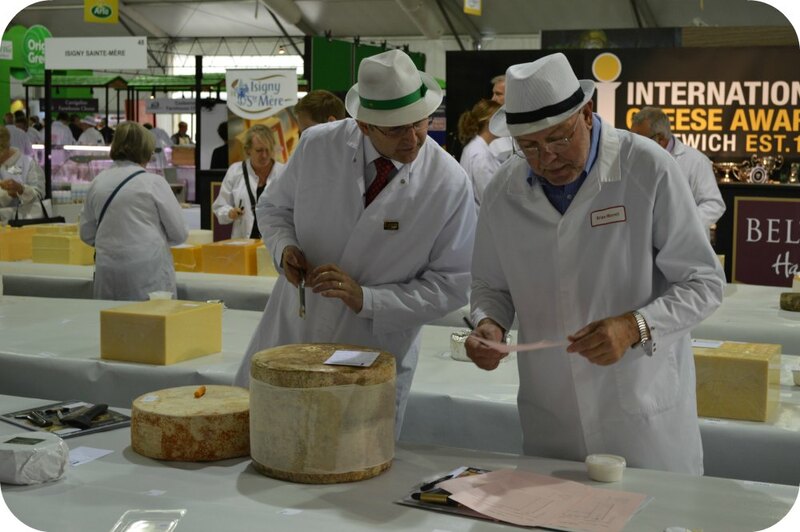 4,443 cheeses from 26 countries were being judged by a team of 200 intrepid tasters in the biggest cheese marquee in the world. Impressive eh! We nibbled our way around the giant marquee finding some gems on the way. An early find was a three year aged Dziugas – a parmesan style cheese from Lithuania. 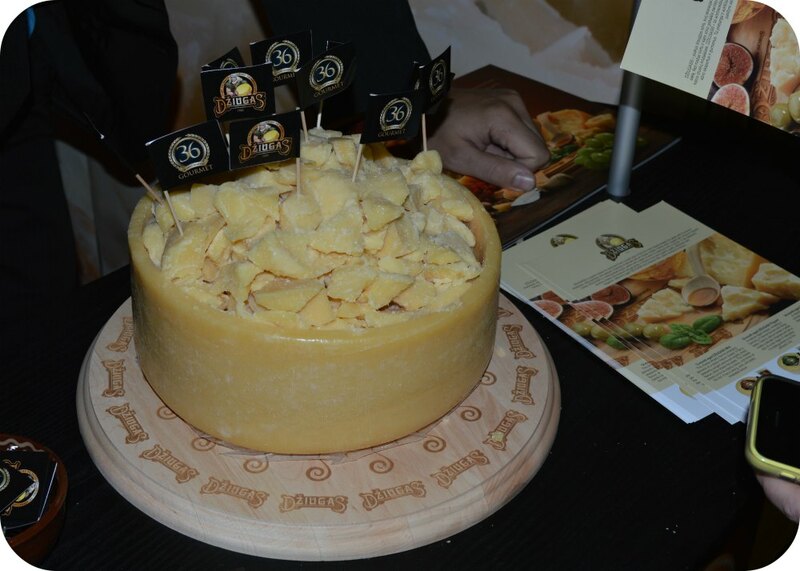 L’Antica Cascina is an Italian dairy with loads of amazing cheeses. We tried a blue cheese which (as a blue cheese hater) I can only describe as mind blowing! But their sheep cheeses were all delicious. I think he said they sell on Borough Market – another reason I need to do me a trip there. We visited the Irish cheese stand to do some cheese and whiskey pairing. Ok, so for me all whiskey tastes like death, but the cheeses- smoked Carrigaline, a chedder infused with whiskey, Cashel Blue and the camembert-style Coleeney- were all new to me with the latter being a particular favourite. The find of the day was Orsom Cheese. I used to have my finger on the pulse of regional cheese makers but have obviously fallen behind in recent years! Orsom is a very stylish brand making what seem like very tasty cheese. The blue was creamy and didn’t have that evil undertone that I normally find in blue cheese. Grace is a delicate, mellow creamy cheese. I’m so glad I found them – I will look out for them in the future. There were many, many more cheeses tried, some purchased, lunch taken with 1,100 other people and a drive home which involved a giant hay darlek! So all in all a great day. 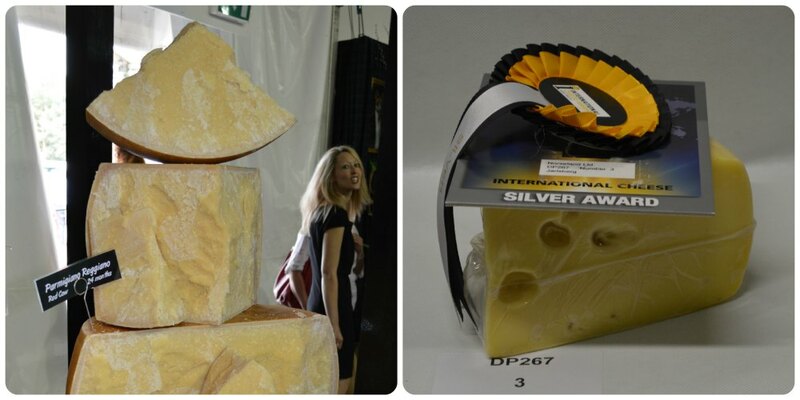 If you love cheese, you should definitely make your way to Nantwich next year when the show returns. Thanks to the ICA for the invite and hospitality. Thanks to my lovely hubby Andrew for being my wing man and taking a million photographs for me! Well done hubby for the brilliant pictures. It was a brilliant day out, I too loved the Orsom cheese, see you next year!